Welcome to the NIIMC web site, and now the home of the N.I Moto Guzzi Club. Just off the Second Sprucefield roundabout heading for Hillsborough (Dublin). Established in January 2003, the NIIMC has grown to over 80 members. We pride ourselves in catering for every type of Italian vehicle. This has given us the benefit of having people with knowledge in almost every area of Italian machinery. The club isn’t just about owners though, it is about enthusiasts as well and we encourage non owners to join us as well because hopefully you’ll be an owner of something Italian someday. It only costs £15 to join. In 2010 the N.I Moto Guzzi Club formed and is now affilliated with the NIIMC. They have their meeting with the NIIMC on the 1st Tuesday of each month. Our Monthly meetings, more informal gatherings really are held on the first Tuesday of every month at 7.30 for 8pm start. 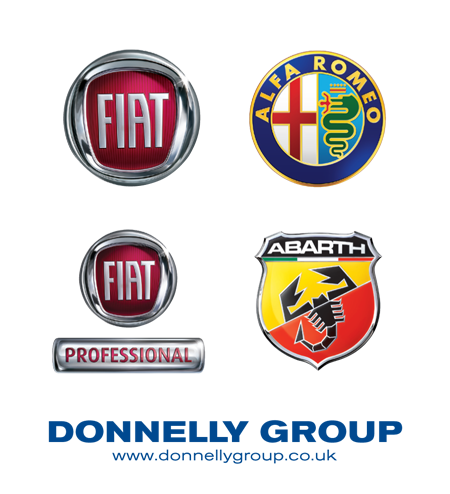 The NIIMC are pleased to announce that the Donnelly Group are the new Main Fiat, Alfa, Abarth and Fiat Proffessional dealers for Northern Ireland. We would like to take this opportunity to wish them well for the future and look forward to building an excellent relationship with them for the push to bring a bit of Italian flair to even more people in N.I.